A famous adage by Cicero says: ‘A room without books is like a body without a soul’. At present, the same holds true for a bookstore without a modern online presence. Not having launched a website where you can engage your target audience and sell books online, you lose a lot both in terms of client engagement and conversion. At the same time, it’s simple to get your bookstore going, even if you’ve got no coding and site administration skills. 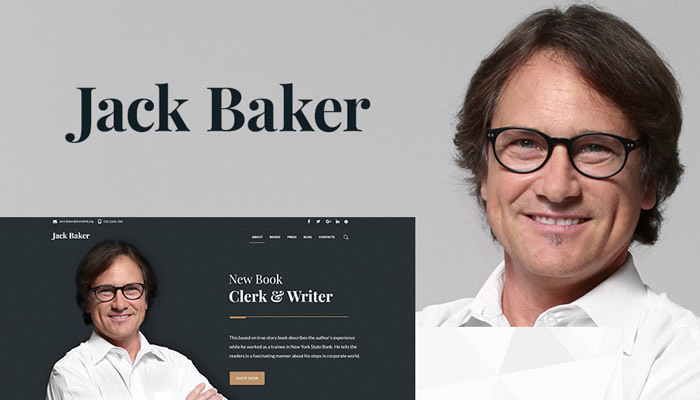 Just use one of the 14 bestselling bookstore themes that we share today, and you’ll launch a state-of-the-art responsive website with flying colors. What Is The Website Engine Optimal For Me? The first matter to handle on your way to a perfect bookstore website, is the choice of the website engine to use. You can opt for a CMS-based website (e.g. WordPress), adding e-commerce functionality to it later on. In this case, you’ll be able to run an informative website that does its best presenting your company, featuring quality blog content and accumulating loyalty of your target audience. On the other hand, you can go for an e-commerce-first website that focuses on selling rather than promoting your brand on the web. WordPress comes first as this is the most popular CMS worldwide. It powers 30% of all the websites. Among CMS websites, this number reaches 30% (see full statistics here). The main reason for WordPress popularity is its simplicity. This CMS is extremely user-friendly for back-end developers and brings all the options handy. If you are a novice in web design and need a blog or a company website go for WordPress with no doubts. WooCommerce is the simples option for e-commerce websites. WooCommerce is a WordPress extension that shares its philosophy of simplicity. It’s ideal for creating small stores that have all the goods handy and provide blog features on top of e-commerce functionality. 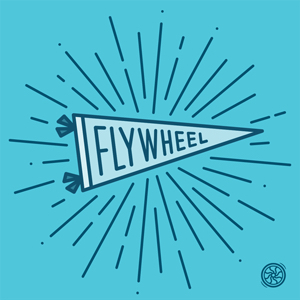 Many people like working with WooCommerce as they can manage their store on the fly. PrestaShop is a good option for small to medium businesses. It’s easy to install and customize and gives rich functionality for your web-store. To use PrestaShop, you don’t have to accomodate many technical requirements (in terms of hosting) that makes your life simpler. Magento is optimal for large online stores or for those, who strive to see their store large in the future. It offers best SEO options in E-commerce segment, allows creating vast catalogs and customizing literally every pixel of your website. However, you need to run Magento on a powerful server and be ready for a steep learning curve. Other e-commerce options on the list include OpenCart and Shopify. They both allow for powering a small to medium e-store with a minimal learning curve. Please, note that you have to pay for using Shopify. For your money, you get full support and outsource hosting your website to Shopify experts. As you can see, starting a bookstore or book printing related blog/website, you’ve got a plethora of modern options. 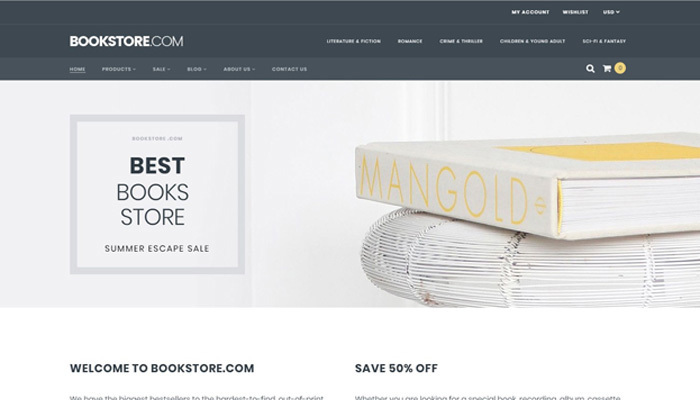 It’s time to wrap your head with the best real-life bookstore WordPress themes available in the market. 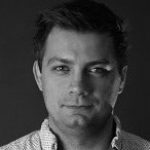 These themes feature failure-proof coding and an impressive assortment of present-day features. Let’s see what they’ve got to offer right now! 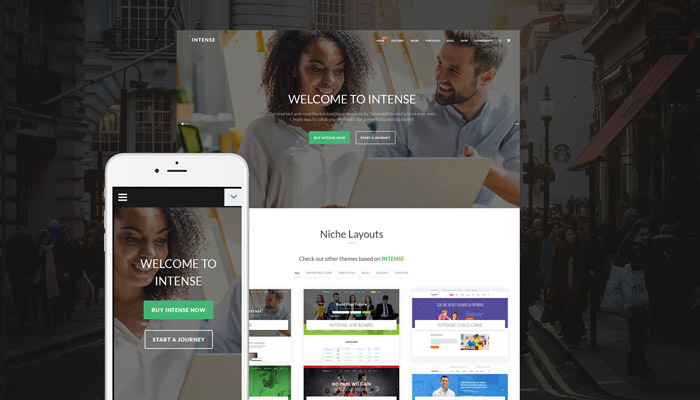 Intense is a modern break-through HTML5 theme that brings you and your customers the experience of a new level. It has all the features that you’d ever need, being packed with a flat design that is easy to customize. 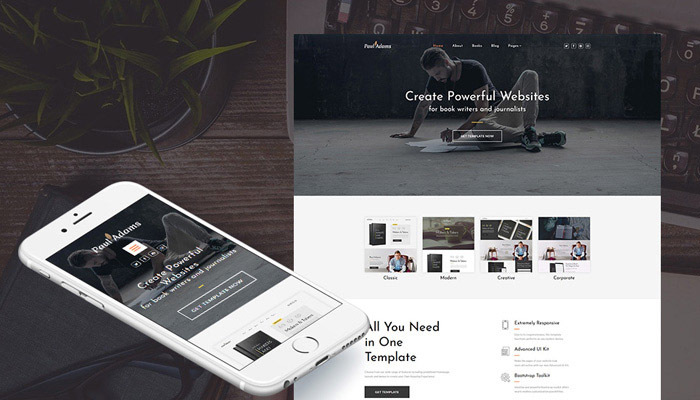 This bestseller template is stellar as it lets you run a website of any kind. You can easily modify it code-free, thanks to prebuilt Novi website builder, the potential of which doubles thanks to custom Intense UI Kit. What’s more, Intense provides for powering not only a company website but also an e-store. It brings you a full set of e-commerce features, including grid and list Product page views, and a set of ready-made designs for such pages as Single Product Page, Checkout Page, and Shopping Cart. Do you want to power a one-page website to bombard your audience with a stunning book presentation? The Book is the theme created with this purpose in mind. This WooCommerce landing page template provides you with a thick pack of layout options and content modules, including the ones that underpin the Product Quick View, Wishlist and Compare functionality. WooCommerce package is also there to give you extra impact on the way you present your products. Needless to say, The Book template is optimized for achieving a high position in search engine results and performing lightning-fast. What’s more, it’s supported by a dedicated team 24/7 for a lifetime. 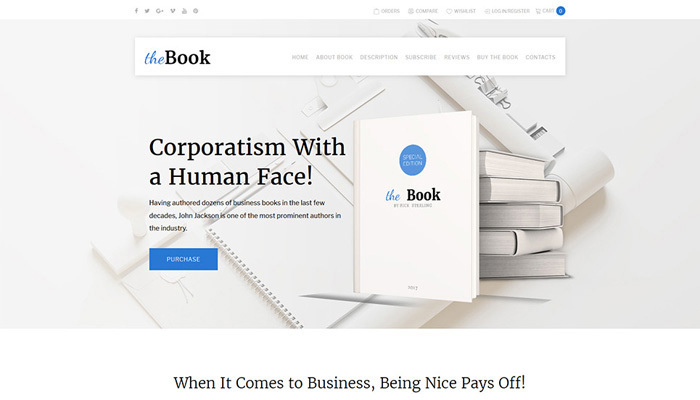 If you want to create a classy book presentation one-pager, Reader’s Treat WordPress theme makes you 100% satisfied with it. Its functionality is the one that makes your jaw drop. 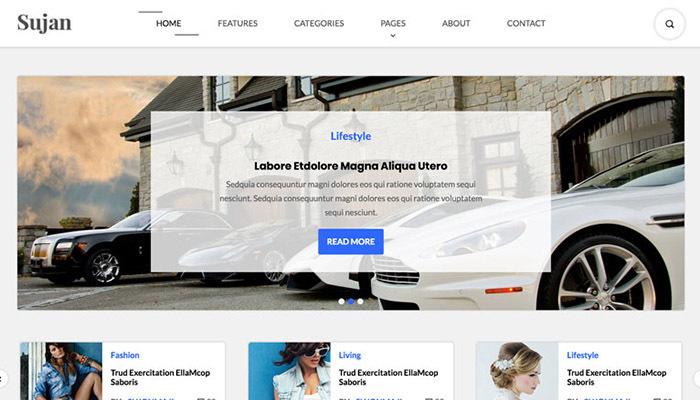 The template comes with an inbuilt drag-n-drop editor for simple website customization and boasts of a number of pre-built plugins that you get free. 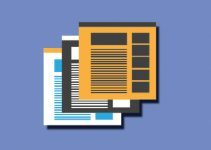 With these plugins, you’ll make every section of your one-pager special and foster an impeccable UI that creates a lasting impression. Needless to say, this one-pager is ruthlessly documented and supported live online. Don’t forget to check the theme’s Live Demo out, to dive into the experience it delivers to PC, tablet and mobile users. 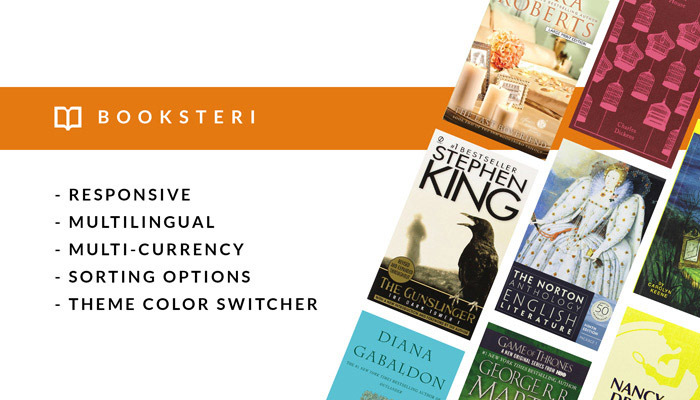 Booksteri is a top-rating high-quality template for building classical mid-size book e-stores. The theme features a welcoming, eye-friendly color palette (of course, you can customize it in one click with Theme Color Switcher). To provide for your store’s convenience, this template brings you a rich number of Store Catalog sorting options. The sorting filter is Ajax-based, enabling your site guests to see sorting results on the fly. Undoubtedly, multi-language and multi-currency support is provided, as well as the options to set up different taxation and delivery methods. If you want to stand out on the web with your publsher’s website, go for this spacious, minimalist and SEO-optimized template. No coding skills are required to customize this cutting-edge template. Just click the text to adjust the wording and styling, click the block to re-position, change the background or resize, add a new website block with drag-n-drop, simple as that! What’s more, recoloring your website won’t take much time with Color picker tool that lets you adjust the main colors of the template on the go. With a rich widget toolkit, you can diversify your website’s sidebars with audio and video posts, image galleries, social buttons, etc. BookID is an all-encompassing, powerful Magento template for powering a best-selling e-store. 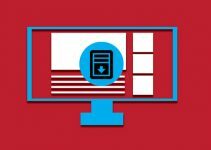 The template opens with an irresistible fullscreen slider, followed by border-free banner grid to showcase your bestsellers. With it, you tap into UX powered by more than 20 premium extensions that account for advanced store functionality and improved navigation. Among them, you’ll find the MegaMenu extension that lets you incorporate links to different content types, as well as single products right in the top navigation bar. Moreover, in addition to social icons and share buttons for blog articles, your users get access to social login. This means no more time-consuming sign-ups and lost log-in details for your customers, and more registered users for you. 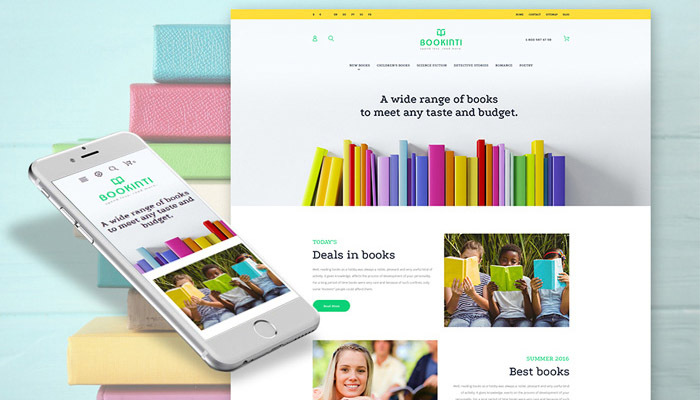 Bookinti is the e-store theme, built with customer convenience and user-friendliness in mind. It stuns with a prolific set of progressive extensions that let you add a number of custom blocks to your e-store. The pre-built modules provide for customer header account display, Parallax effect, building mosaic product grids, showcasing your Deals of the Day and much more. What’s more, Bookinti template appears equally well, when displayed on different devices and with different browsers. Its elements adjust to screen size and images are resized accordingly. Special attention is given to how the e-store appears and functions on smartphone screens to make it easy to shop with you on the go. 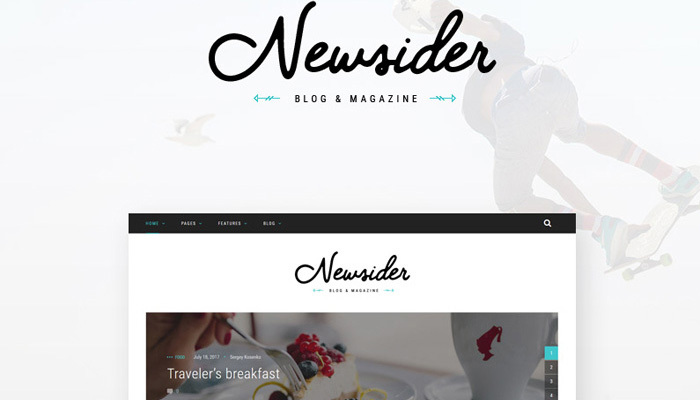 Newsider is a highly innovative blog theme for running a new-gen clean blog or online magazine. The theme features unconventional post grids and shifts the homepage sidebar to the right for a more memorable experience. The template incorporates rich social sharing options and ensures that your posts have all the chances to go viral in social networks. For example, above the footer, users’ eyes will find a delectable treat in form of a modern-looking Instagram feed, which earns you more followers in this social network. 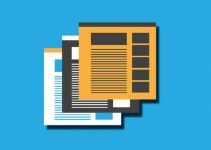 What is more, the Newsider template is SEO-friendly and lets you enter keywords to boost your site rankings and positioning by search engines. Professional SEO tools are of very high importance, and, once you have them, SEO optimization pays off manifold. Moroseta is a minimalist template that capitalizes on the modernity of its design and ultra-clean structure. The template performs at the speed of light, providing for low bounce rate. What’s more, the code of the theme meets the specifics of the latest Google ranking algorithms. 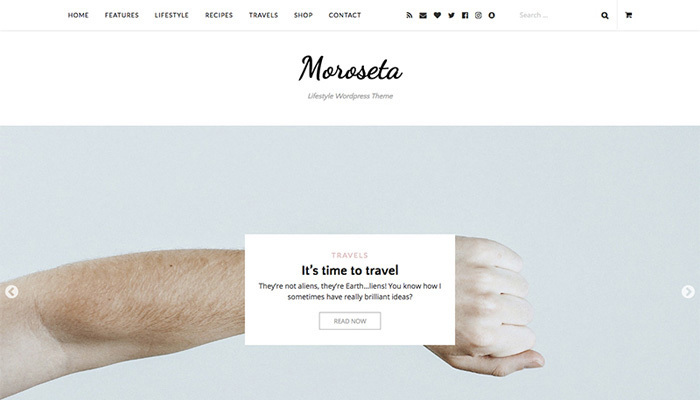 In addition to this, Moroseta brings you 5 ready-made blog layouts and 4 diverse layouts to use for your single posts. As a nice extra, Moroseta incorporates a post slider that fosters premium presentation of your featured posts. Turning your website into an e-store with Moroseta won’t be a lot of head-ache, as this template is fully WooCommerce-compatible. This template helps you develop a positive and highly-professional image of you as a writer. The theme features a reserved color scheme of warm low-key shades and razor-sharp photography. The theme is novice-friendly with Elementor, the builder with comprehensive WYSIWYG editing functionality. With the latest trends of 2017 web design in mind, developers managed to build an up-to-date theme that satisfies the fast-growing needs of website owners with its superior features and extended options. What’s more, the template integrates rich social options, ensuring the growth of your popularity in social networks. 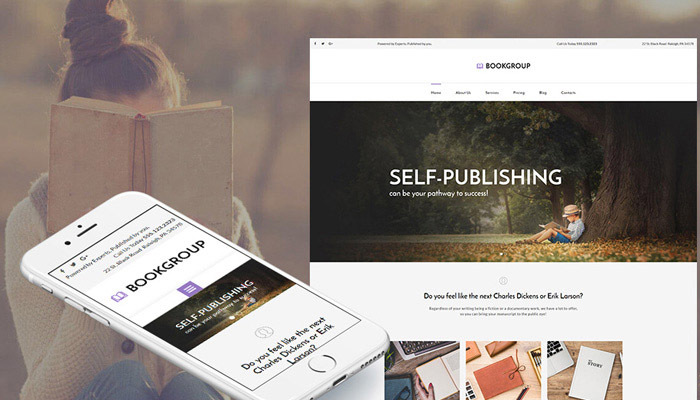 If you want to present your publications in detail and uncover all the greatness behind them, Best Books Store is the Shopify theme that has all the tools for this purpose. 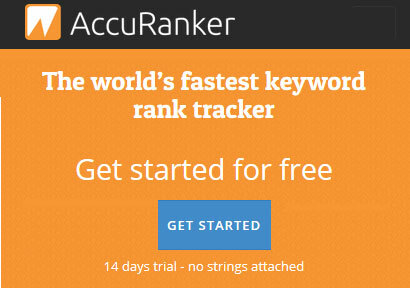 Its functionality is based on a thorough analysis of most popular book stores and incorporates the elements that proved most effective conversion-wise. In this vein, the template features an optimized product search, accessible product ‘Quick View’, Wishlist and MegaMenu functionality. What’s more, this theme combines these UX elements within a cutting-edge, minimal and clean site design that spans over the full screen of the device used. With Best Books Store, you’re invited to feature recently published books and upcoming publications on the homepage to encourage site guests to learn more about them. Paul Adams template combines the experience of best developers and brings you unparalleled design that you can edit in next to no time. You can modify the website the way you want to with no coding skills required thanks to WYSIWYG MotoCMS website builder. To save your time while customizing the theme, you can also create presets in a couple of clicks and later re-use them with simple drag-n-drop. Moreover, you’ll get a chance to unleash the full potential of your website with a rich set of widgets available in MotoCMS admin panel. Thanks to the widgets, you can display your feeds in social media, add MailChimp newsletter, and embed media, grids, carousels, etc. No doubt, the polished coding of the theme not only decreases your website’s vulnerability but also positively influences your SEO stats. Feature-loaded and easy-to-customize, this template is a perfect base for a smart education blog. The home page of your website will be enhanced by fullscreen slider, Latest Articles widget, testimonials of your students and Instagram-powered gallery. Other template pages offer you rich media integration: you can embed videos from YouTube and Vimeo, add audio podcasts and images of different formats including .gif animations. The theme’s responsiveness is flawless with every template’s element ability to adopt to the peculiarities of small (mobile), medium (tablet) and large (PC) screens. If you test the theme’s Live Demo on different screens, you’ll see that its menu turns into a single dropdown button on mobile and provides for seamless browsing experience on the go. 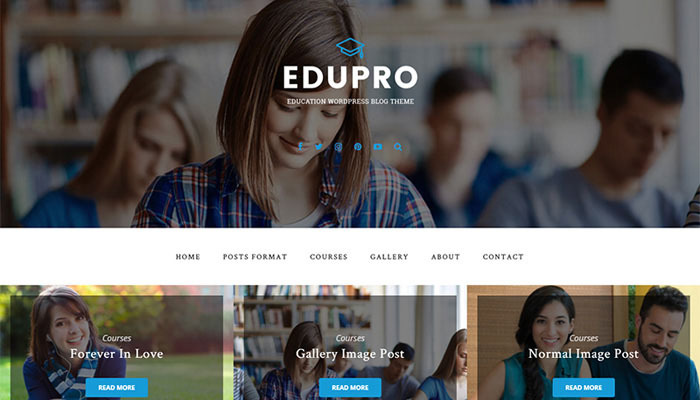 SEO-ready and translation optimized, EduPro theme will provide for accessibility and global success of your education-related blog. If you’re after the tried-and-tested HTML template customization experience, Sujan is a clean theme to power any kind of a blog website. You can win over the hearts of your website guests with a pleasant color palette, rich front page slider and eye-catching readable typography. Moreover, the theme’s creative grid is adorned with unconventional animated effects that make your website stand out from the crowd. One the right of the custom home page, you’ll find a number of sidebar widgets, including the polished-to-perfection ‘Follow me’ social integration box. All in all, Sujan is a classic solution for the adapts of CMS-free HTML5 websites. 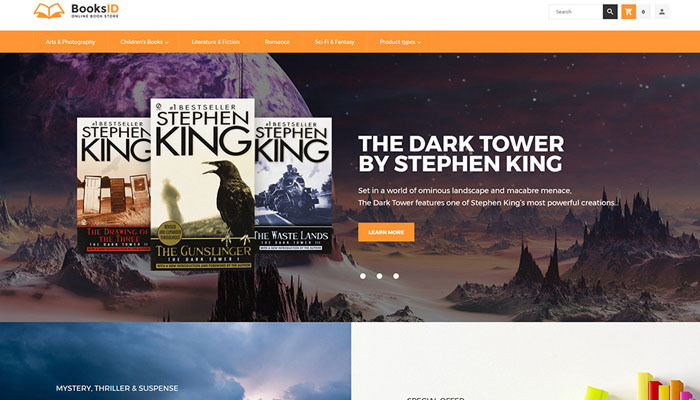 We hope you got inspired by this variegated collection of 14 bestselling book store themes. 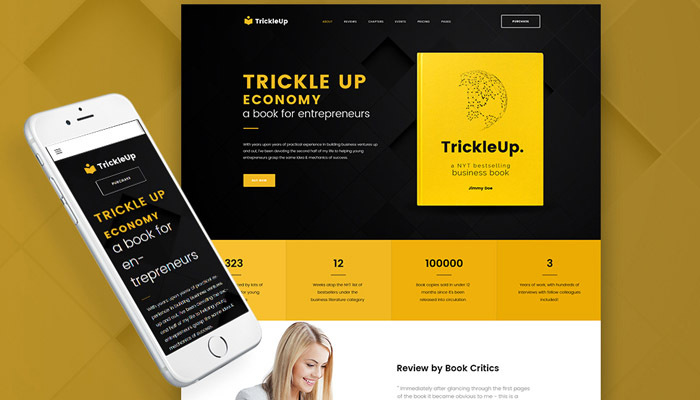 These themes feature the most advanced toolkits to amplify your impact and obtain new customers and readers from all over the globe. 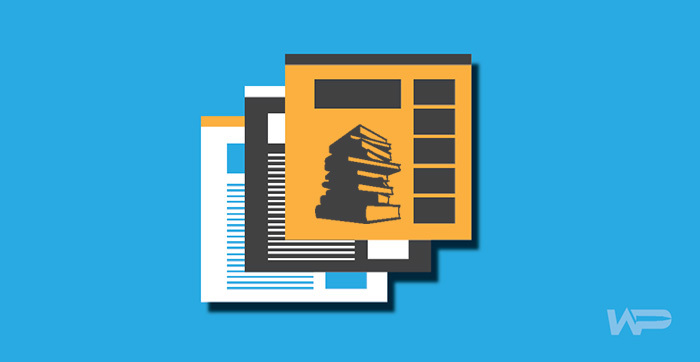 What kind of a book or printing-related website are you striving to build? Tell us more about it in the comments section below.